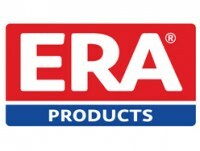 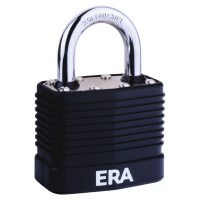 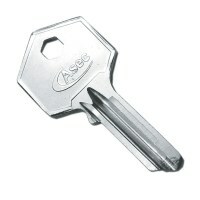 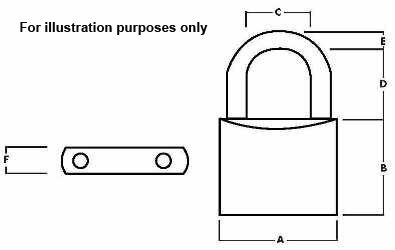 ERA Padlocks High Security Laminated Padlock with Black PVCu Cover available in 45mm and 55mm. 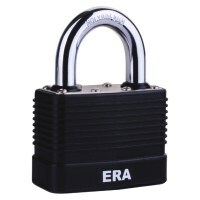 These padlocks really do offer some great security features for low prices and come supplied with 2 keys, extra keys can be purchased at time of order. 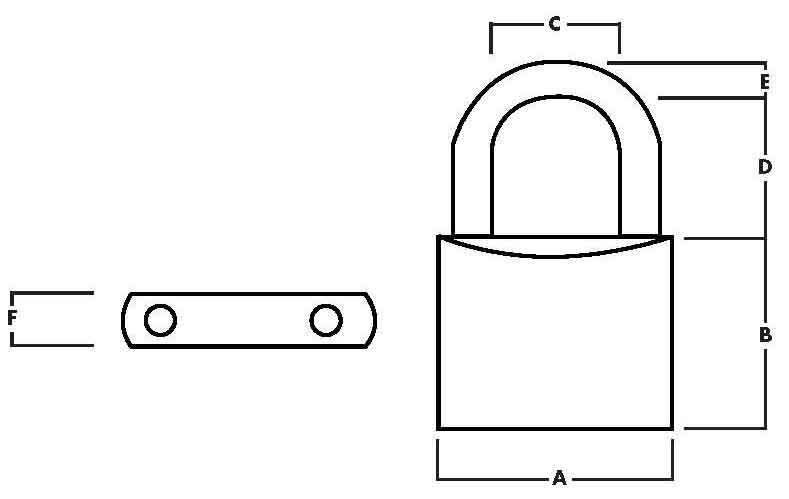 The shackle that is fitted to these padlocks is hardened steel for protection against sawing and cutting, the padlock is also anti drill, bump and pick. 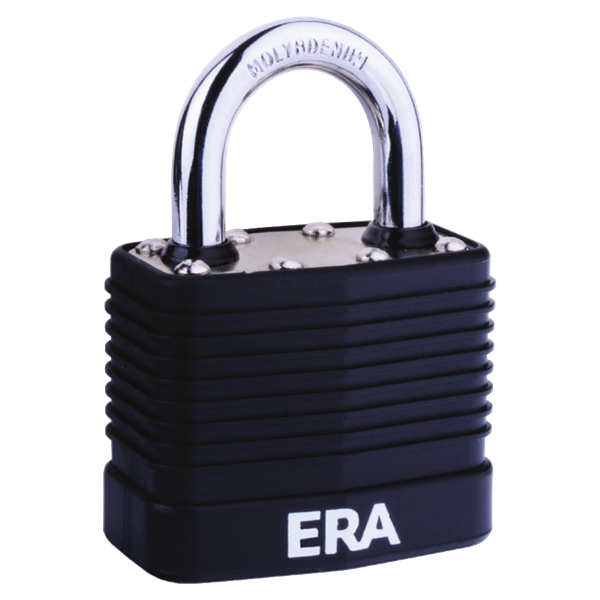 These ERA padlocks are very easy to use, the key hole cover is slid back to show the key hole, the padlock can then be unlocked.